Classrooms from 6th grade and up get a new look with these student desks from Educational Edge. 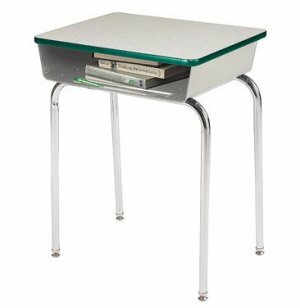 High quality, gray nebula desktops are accented by colored, T-molded edging to give junior high classrooms a mature look with an element of excitement. 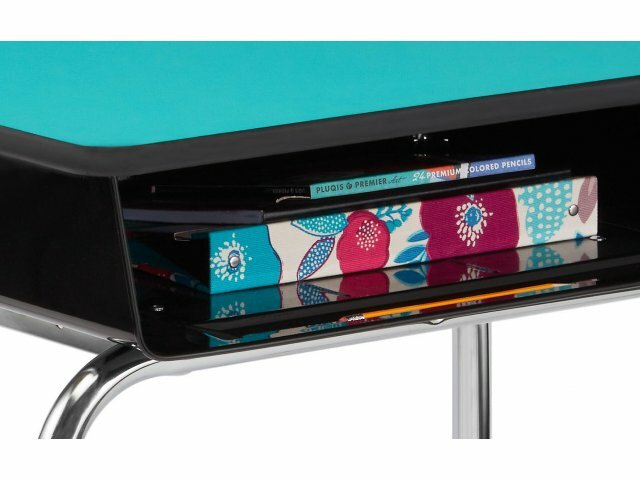 Roomy, riveted bookboxes with pencil grooves offer plenty of space to organize school supplies. 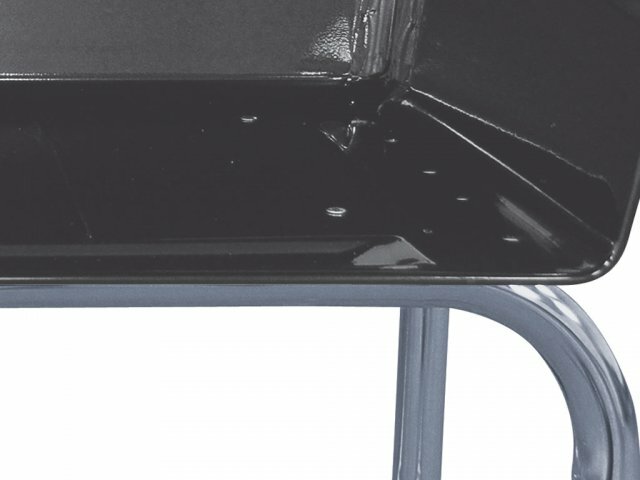 The under-desk stability bar gives excellent support to the frame, and the fixed height means that there are no screws for enterprising students to tamper with. 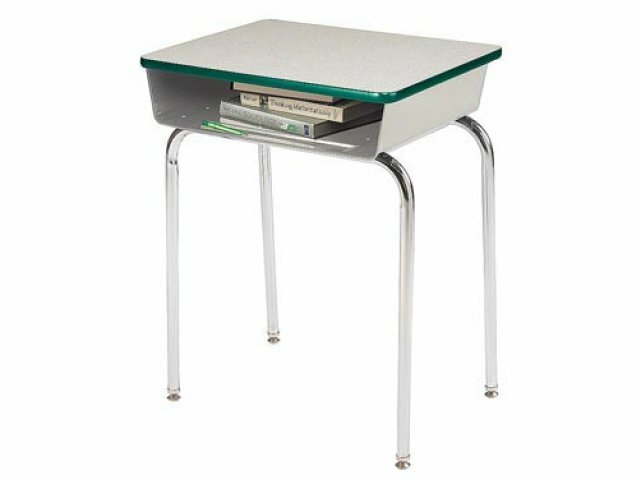 Cool-looking, spacious and super strong - what more could you ask for in a junior high school desk? 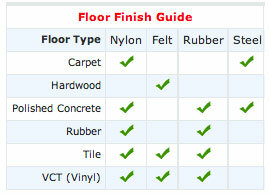 Stain and Scratch Resistant: High quality laminate desktop resists stains and scratches and cleans easily. Spacious Bookbox: Heavy-duty metal bookbox gives students plenty of room to organize their school supplies. 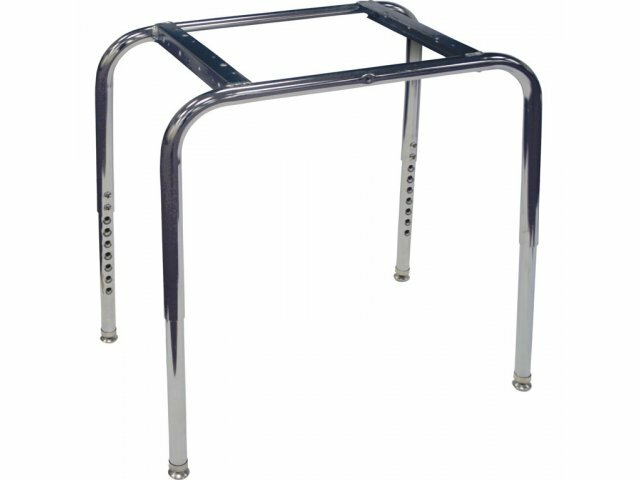 Fixed Height: Fixed height legs have no screws or adjustable parts for older students to take apart. Total Color Coordination: Banding is available in bright, cheerful Educational Edge colors for complete coordination with any classroom decor, including a wide range of Academia and Educational Edge products. 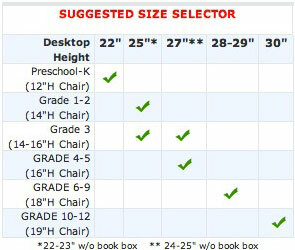 Please note: Sales on fixed height desks are final. Sorry, no returns.